In 2007, Nancy Sinatra, daughter of legendary singer Frank Sinatra, and Altovise Davis, announced the launch of the "Siriusly Sinatra" channel. The commercial-free Sirius Satellite Radio channel features recordings spanning the spectrum of Sinatra's career which includes Sammy Davis Jr., a close friend of Sinatra's and part of the infamous Rat Pack, among other artists from big band, swing and traditional pop genres. 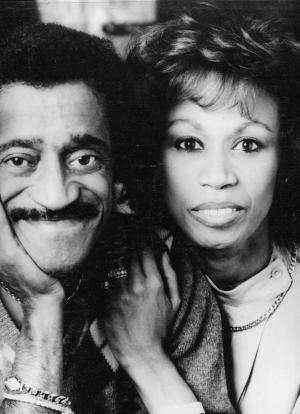 Altovise Davis, an actress and dancer, was married to legendary Sammy Davis Jr., featured in our gallery under separate listing. This one is in memory for her recent passing. After Sammy died, Mrs. Davis worked memorializing and preserving her husband's work and much loved contribution to film and music. Mrs. Davis managed her husband's name and image towards making sure the legacy of Sammy Davis Jr. will continue. She lived out her life devoted to Sammy's great love and devotion to this country and the civil rights movement he helped deepen and support.